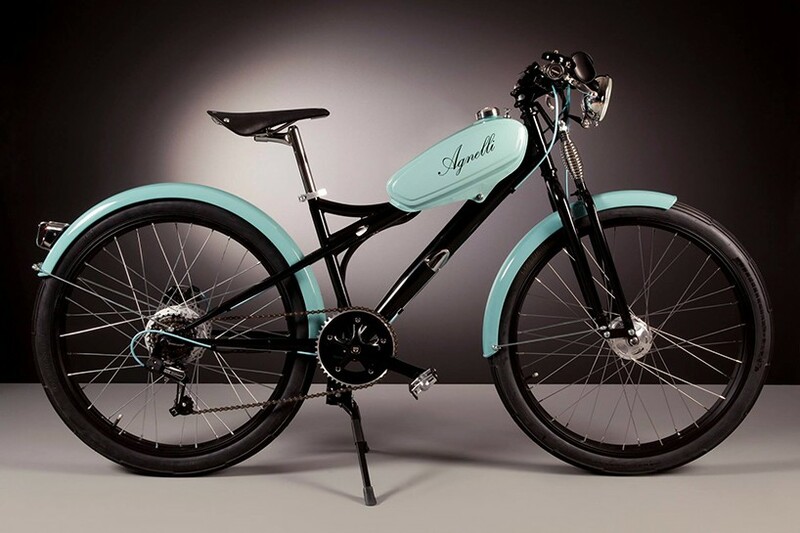 Luca agnelli founded his company; agnelli milan bike in 2015 and introduced a range of electric bicycles for a more traditional audience. 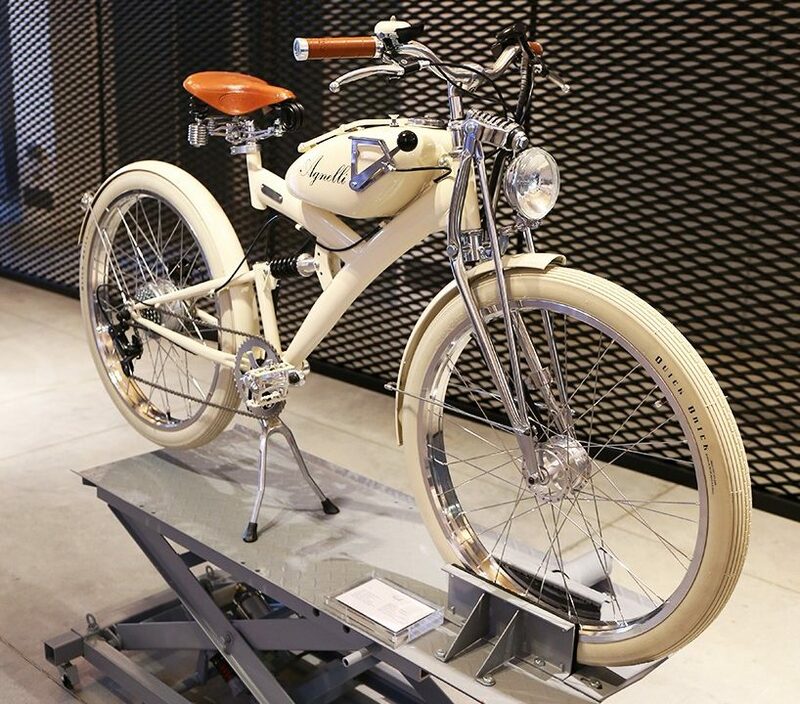 His creations will be showcased at the stone island ‘craftworks’ exhibition for milan design week 2016. 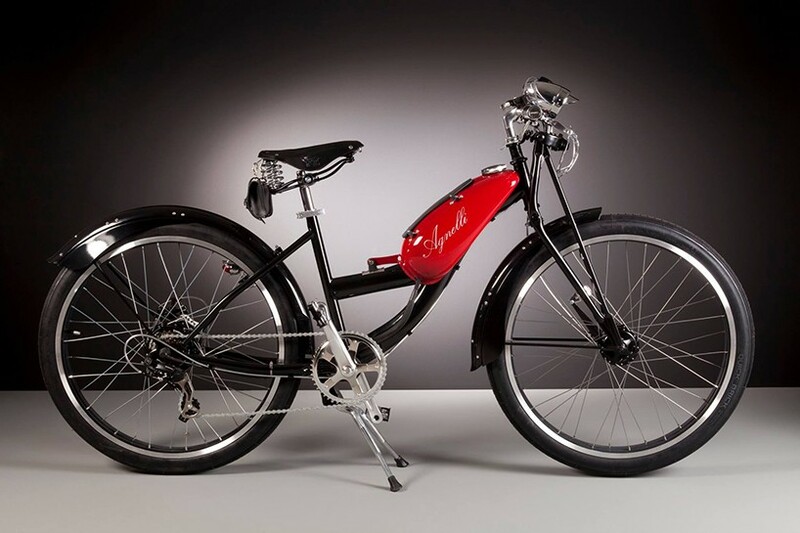 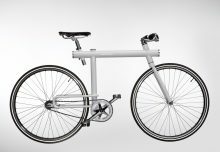 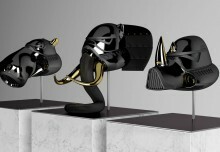 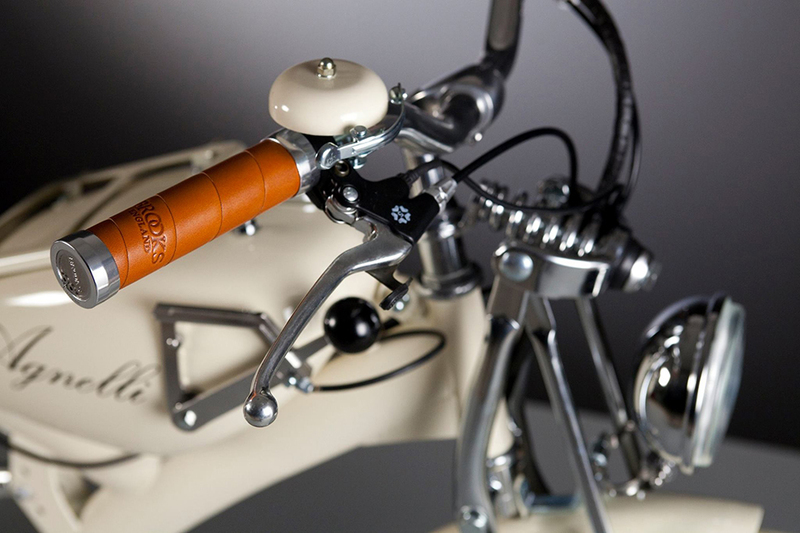 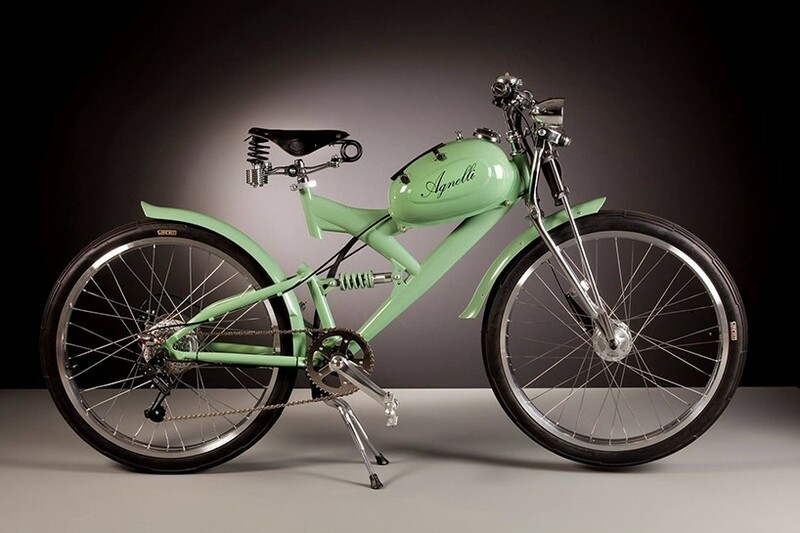 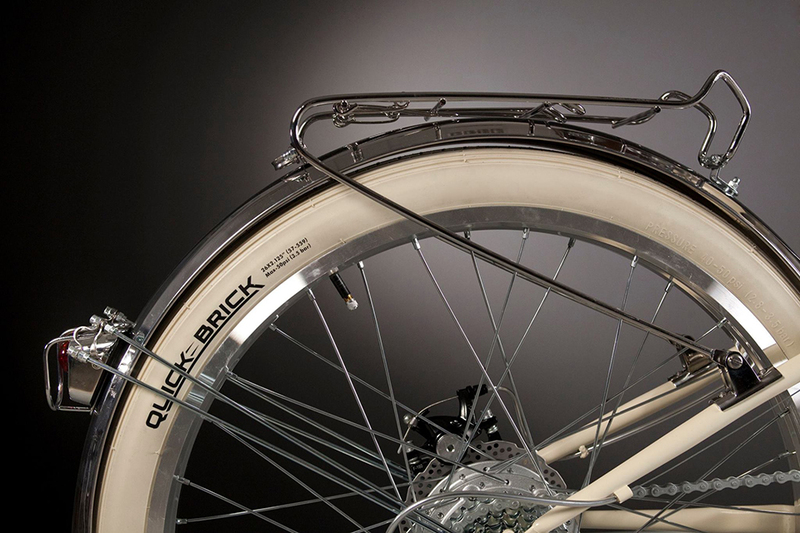 Each bicycle is put together with a 1950’s frame and tank, and then modified to fit the accessories chosen. 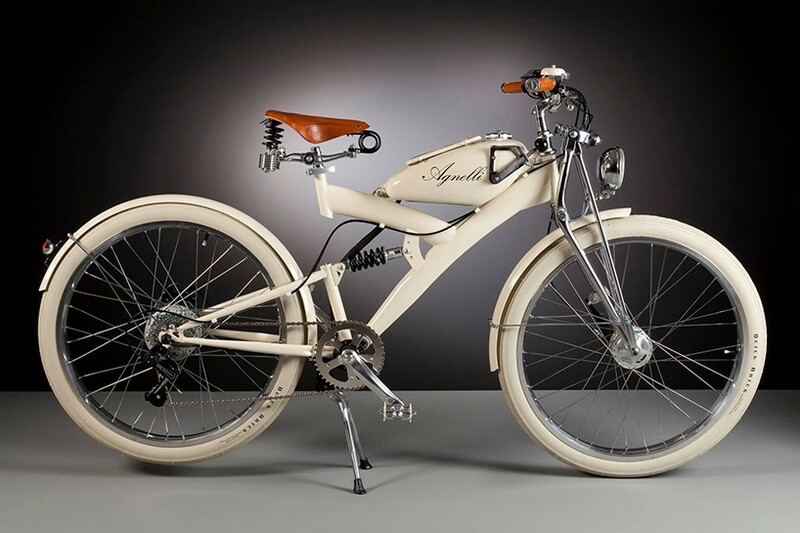 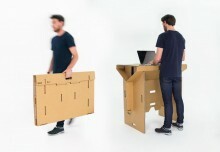 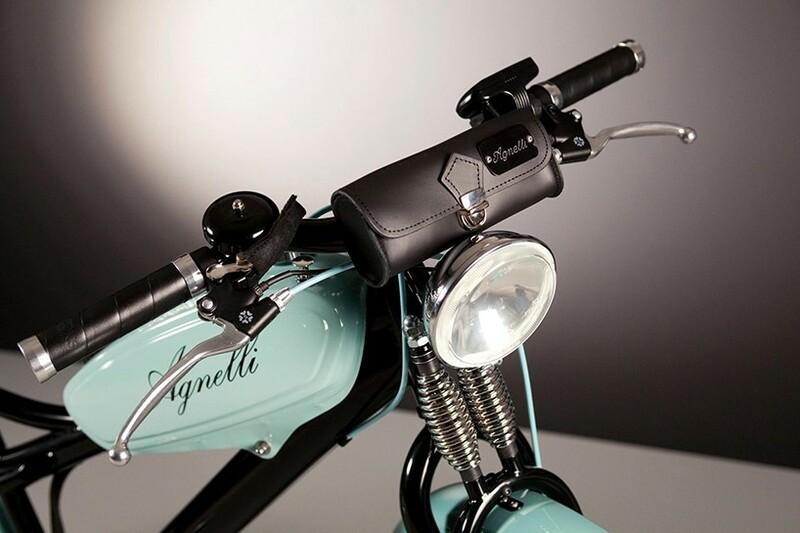 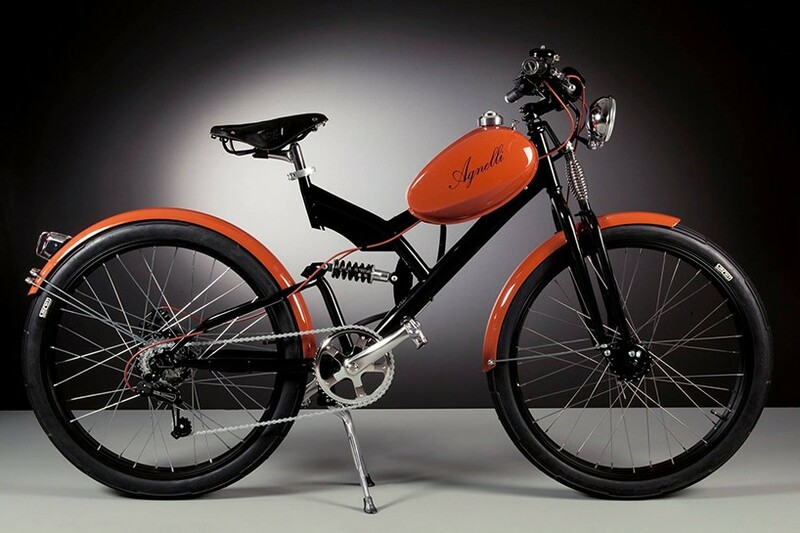 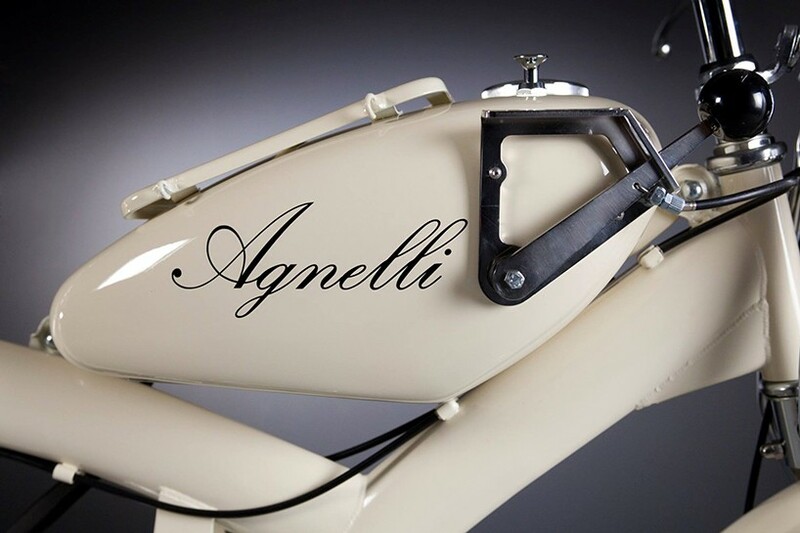 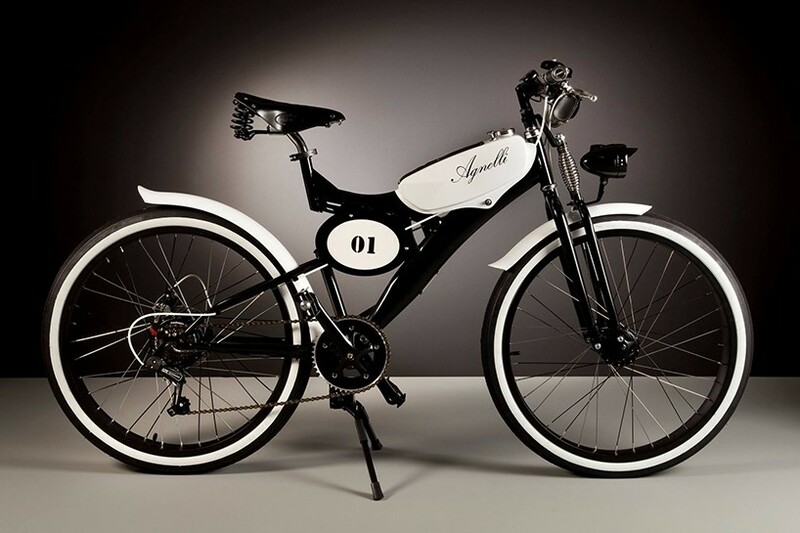 Luca agnelli firstly apprenticed as an antique furniture restorer, his e-bikes resolve technical and aesthetic problems by adapting to continual changes in function, form and time.